Our Story — Classic Lyric Arts, Inc.
Classic Lyric Arts offers intensive language-based training programs in France and Italy. See — and hear — how the CLA programs work. We immerse pre-professional singers in the craft and culture of French and Italian vocal music, working individually with native teachers and coaches on diction, musical style and spoken language. The story of Classic Lyric Arts is one of chance encounters and long friendships, of strong convictions about good singing and surprising new discoveries, of celebrating the finest young talent and uncovering hidden potential. CLA Italy was launched in 2009, and CLA France in 2012. 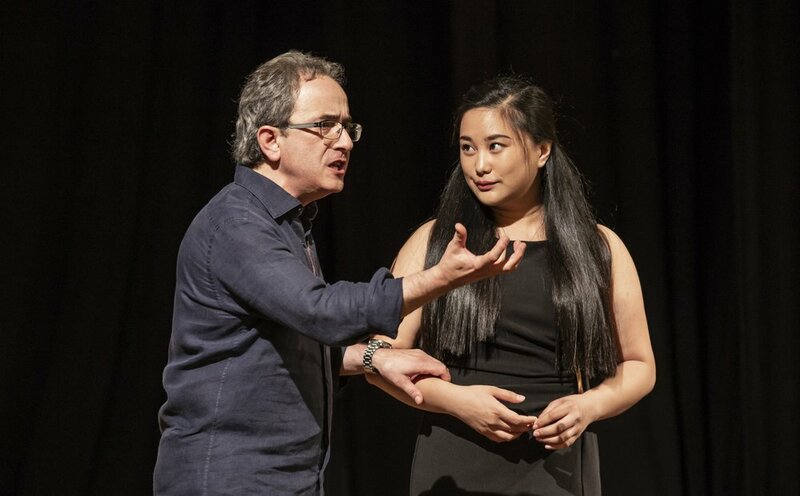 At these summer intensive workshops, we have now trained hundreds of singers and dozens of collaborative pianists from over thirty-five countries in the disciplines of French and Italian opera and song. Our young artists have all brought their talent, passion, and love of singing to these programs. What they have taken away is a deeper understanding of this journey in music —of the languages that shaped opera, of the places that inspired it, of the cultures that are reflected in it, and ultimately, the reasons why this wonderful art form exists as it continues to touch people around the world. I first met Ubaldo Fabbri, my partner at CLA Italy, in New York in 2000. I had been teaching Italian diction at Mannes College for several years, and one of my students told me that a coach from Italy was at school to give a masterclass. I could only observe for about thirty minutes, but I was overwhelmed by the results he achieved in explaining all aspects of singing through the musical elements of the Italian language. He came back to New York a few years later, and again I realized that his teaching was unlike anything I had heard before. Everything originated from language. Beauty of sound was formed through vowels, expression through consonants, communication through the shape of a phrase. I observed his classes each year afterward, translated and transcribed them, and adopted a new approach to my own teaching. We became friends, and eventually, after eight years of acquaintance, he asked me to form a summer program for young singers to be held at the academy he directs in Novafeltria, Italy, a school dedicated to the connections between the Italian language and bel canto singing. Together, we celebrated ten years of CLA Italy this past summer. I’ve had an abiding love for French opera and song, and I hoped to one day expand CLA to include a program in France. One of my longtime friends and colleagues, Ken Benson, introduced me to tenor Stéphane Malbec Sénéchal, who in turn introduced me to his adopted father, Michel Sénéchal, one of the most celebrated French tenors of the twentieth century. In addition to an international career spanning nearly fifty years, Michel had also been the director of the Paris Opera School for fifteen years, training many of the great French singers of today. He too believed fully that beauty of singing was intrinsically connected to the sounds of language, in his case, the French language. He had a desire to share his vast experience of French singing with young American singers, and so together we launched the CLA France program in 2012 in the Périgord region. Classic Lyric Arts was incorporated as a non-profit organization in 2012, and since then, so many extraordinary people have stepped up to help make this endeavor a success. Our students have shared their additional talents as administrators, photographers, development coordinators, social media experts, website designers, etc… We’ve formed a wonderful board of directors committed to our long-term success. Our generous donors who believe in our mission have made it possible for us to grow and positively affect the lives of countless young musicians by financially supporting their participation in our programs. Our staff of coaches, conductors, language instructors, stage directors, and masterclass teachers include artists associated with many of the great international opera theaters (La Scala, Paris Opera, Covent Garden, The Metropolitan Opera, etc…), and are deeply committed to the artistic development of our young artists. I think the element that we all share is a sense of awe at hearing young singers reveal their brilliance as they begin to discover the unparalleled power of singing. It appears at an intersection of the inherent beauty of the human voice, freedom of expression and confidence in one’s craft, a moment of grace when singers can simply communicate their unique humanity. It’s at that place where language and music become one. Classic Lyric Arts belongs to every student, teacher, administrator, board member, supporter, colleague and friend that’s been involved with our first ten years. I have no doubt that together we’re heading into an exciting second decade where our training programs will inspire many more of today’s young singers to achieve their full potential and develop into some of the finest performing artists of the future.